Experts in the field of emergency management like to emphasize that there are important “lessons learned” in the aftermath of disaster situations. After large disaster events such as the 2015 earthquake in Nepal, and 2013 super typhoon Yolanda in Philippines, forensic investigations are often conducted to reveal ”what went wrong” in the chains of command, identifying what we can do differently when the next big one strikes. Such forensic investigations are not only relevant for the field of emergency management, but also for the field of disaster and climate risk management, which seeks to identify the underlying causes of what went wrong in the long chains of developmental policy intervention. Over the years, researchers have identified a number of root causes that increase disaster risk—such as weak building codes and land use policy enforcement and overemphasis on ex-post emergency response as opposed to proactive management of disaster risk. Also, decades of economic studies looking at the costs and benefits of risk reduction investment show that such investment often pays off in the longer run. Yet, as the recent global trends of rising disaster risk unfortunately testify—we are far from learning these lessons effectively, or at least fast enough to beat the rising risk posed by future climate change: Global annual average disaster loss is estimated to have risen to approximately $300 billion in 2015 according to the UN Office for Disaster Risk Reduction (UNISDR). That is why the IIASA Risk and Resilience program’s research is increasingly focused on cognitive, behavioral, and governance aspects of societal learning on disaster risk reduction. We are currently working with public, private, and civil society stakeholders, asking the questions of why we, as a collective society, continue to fail to act on these lessons learned in disaster risk management and what we can do to change it. By combining both quantitative and qualitative systems analysis approaches, we are untangling why we make decisions the way we do, and what processes and institutional mechanisms directly and indirectly affect disaster risk and developmental outcome over the long term. Given that catastrophic disasters are by definition rare events (hence opportunities for learning is naturally limited), we are doing this using novel methods such as participatory gaming or policy exercises in which we create virtual opportunities for stakeholders to experience complex decision-making in a safe learning environment. By creating stylized context for common decision-making (such as rural farmers making longer-term decisions on livelihood diversification, or urban planners addressing rising disaster risk due to rapid population growth), these gaming spaces serve as mechanisms through which stakeholders can not only learn about their cognitive and behavioral assumptions, but also through which learning can be accelerated, repeated, and shared among different communities facing similar development and disaster risk reduction challenges. We are running such policy exercises in the context of our flood resilience project and internal gaming project . 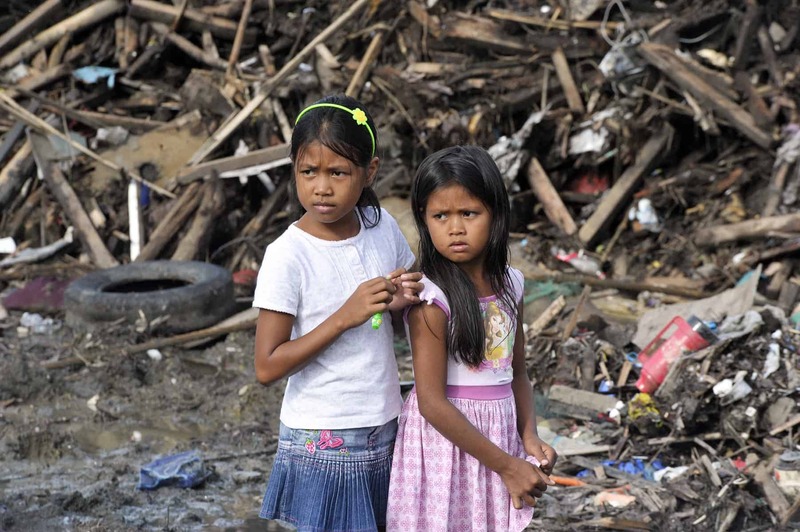 Decades of research have shown that there are common global lessons on development and disaster risk reduction but they are not so easily learned in practice. It is too often that that the windows of opportunities for policy learning are limited and we continue with business-as-usual of “lessons unlearned.” Creating an enabling environment for iterative learning is no easy task under these pragmatic constraints, but we hope that a bit of creativity and lots of hard work will eventually pay off in the long run.